A New Orleans museum adds a new campus to house a permanent exhibit on the history of the French Quarter. Determination and a helpful tour guide allow Marilyn Jones the opportunity to explore a significant Louisiana historic site. Marilyn Jones explores Louisiana’s oldest general store in search of history and the perfect Christmas gifts and decorations. Samantha shares the huge Christmas tree in the Crescent City. Samantha and her husband enjoyed riding the numerous streetcars that run throughout the city of New Orleans, Louisiana. Samantha shares some of the interesting sights and sounds she experienced on her recent trip to the French Quarter in New Orleans. Samantha shares the first of three posts after her recent visit to the French Quarter. Learn about the history of Jackson Square and New Orleans on today's post. Samantha takes us to visit a young tiger who's having fun despite his imoortant job. PHeymont and his wife take their first overnight Amtrak journey: two days on the Sunset Limited from New Orleans to Los Angeles. 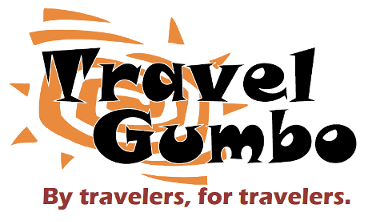 Visiting the variety of New Orleans food on a walk through the French Quarter. A small fountain celebrates New Orleans' musical heritage at the historic riverfront market. Spotted at a stop sign in the French Quarter of New Orleans...can you add more detail on its ID? A museum that houses a massive collection of artifacts, but uses them to tell the story of the war through the eyes of individuals. Samantha visits New Orleans and shares pictures and impressions with us—along with her determination to return for more!